If you have ever had a mentor in your professional or personal life, you know what an amazing and priceless experience it can be. 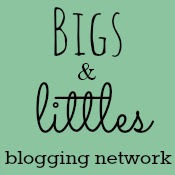 When I saw that Christine of Christine Everyday and Chelsee of Southern Beauty Guide were doing another round of their Bigs and Littles Blogging Network this fall, I knew I wanted to join in. For the past few months, I have been feeling like I am just a few steps behind where I want to be and where I can be with this space. I feel like I have potential as a blogger, but I just don't know how to get there. I admire SO MANY bloggers, many of whom I read their posts on the daily. I thought this would be a great experience to learn from someone one on one. I was paired with Anne from Love The Here and Now. I was really excited when I first read that I was paired with Anne, because I have been reading her blog from the beginning, and have watched it grow into what it is today. Also, she and I are both from the same part of New York, and have a lot of stuff in common. We talked a lot about blog traffic and social media. She told me some of her best Pinterest tips and tricks, which have been helping my referral traffic a lot. We also talked about work/life/blog balance. I always want to know how people do it with their jobs/kids/pets/etc AND a blog. Crazy. 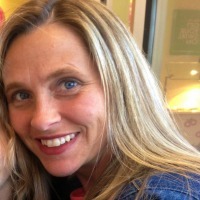 Anne's blog is full of wonderful posts about blogging, crafts and recipes, and her life as a mom of girls. If you have never checked it out, I highly recommend it. She has one of the most beautiful blogs on the block. I am so glad that I decided to join the Bigs & Littles Blogging Network. In meeting Anne, I gained a friend, who also is a great mentor to me when I need her to be that. Blogging is funny like that. We are all scattered around the country, forging friendships and helping each other to succeed. If you ever have the chance to join something like this where you will be paired one on one with another blogger, I highly recommend it!